Now you never having to remember to dig out and carry your ID when you go for a solo run or ride. No wristband, no wrist wallet, no zipper belt etc. 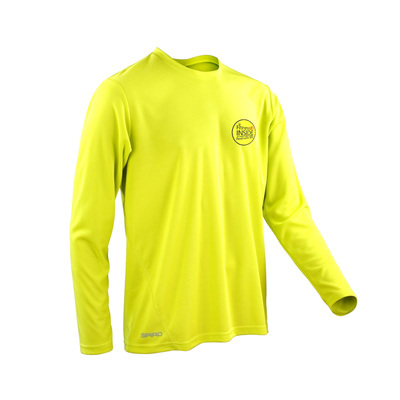 Just through on your ID Integrated Sports top and you're good to go! 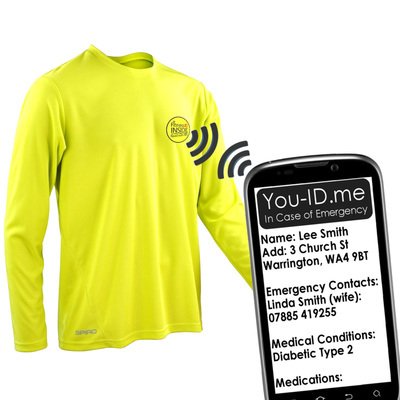 Fitness ID garments make this all a reality with a unique Smartphone compatible ID panel that securely stores all your emergency contact info. 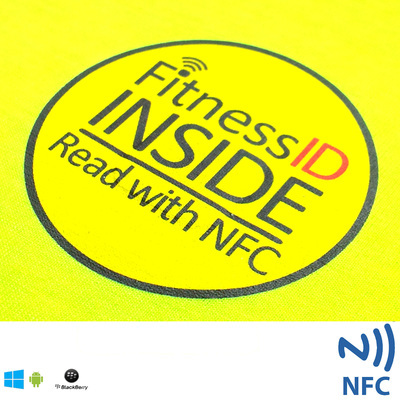 Fitness ID is a new range of performance sports gear featuring a panel that gives Smartphone access to your UNLIMITED life-saving emergency identity profile. Order and set-up is simple. You may link multiple garments to the same emergency ID profile. Naturally we wish you complete safety whilst doing your sport. But accidents do happen. In the event of an accident or emergency the ID breast panel can be scanned with a compatible NFC Smartphone or the code entered at You-ID.me. This will provide immediate access to your secure emergency profile where you have registered your emergency contacts' information as well as any allergies, medical conditions, medications and specific instructions. SAFETY GREEN ENSURES YOU'RE SEEN! Click to visit in our store. Q. 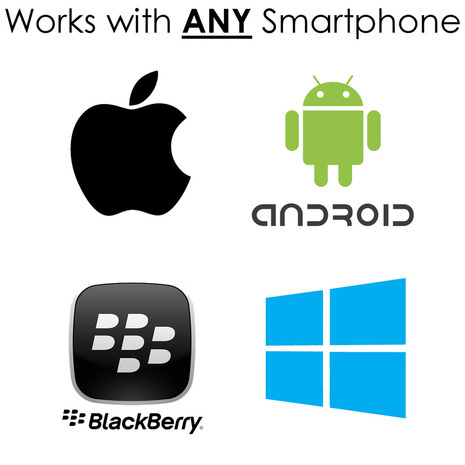 How close does a Smartphone need to be to read the ID? A. Very close - typically less than 2cm, so it can not be scanned from afar. Q. Will the system work with iPhone?